7:30 a.m. to 2:45 p.m.
Utica Summit is our annual look at the sustainable downstream benefits of Utica energy. National speakers come here to tell you what’s coming our way. and beyond. We know the coming downstream build out is going to be much bigger than many of us can imagine. 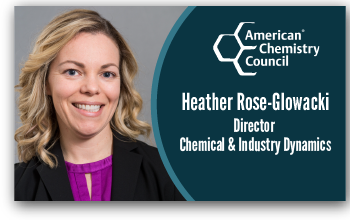 Heather Rose-Glowacki is Director, Chemical & Industry Dynamics at the American Chemistry Council (ACC), a Washington, DC-based trade association representing companies engaged in the business of chemistry. In her current role, Ms. Rose-Glowacki is responsible for developing and maintaining comprehensive resources and intelligence on the chemical industry, including chemical industry investment projects, as well as providing industry and economic analyses in support of the ACC’s advocacy efforts, sustainability and market outreach activities. 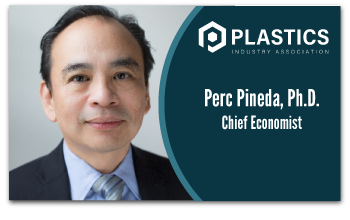 As the Chief Economist of Plastics Industry Association, Perc Pineda serves as the organization’s primary staff expert on economics, statistics and industry research. His views on the economy have been widely quoted in the media, and his works have been published in peer-reviewed economic and trade journals. Before joining PLASTICS, Perc Pineda was the Senior Economist of the Credit Union National Association, where he tracked macroeconomic trends, conducted economic research, wrote articles for industry publications, and interfaced with the media. His over 20 years of experience includes academia, international financial institution, and trade association work. As an economics professor, he taught macroeconomics at the St. Francis College in New York, NY and microeconomics, finance, and economics of regulations and the law at the City University of New York. Prior to a stint in academia, he was at the International Monetary Fund, and the U.S. Dairy Export Council working on market access and regulatory affairs. 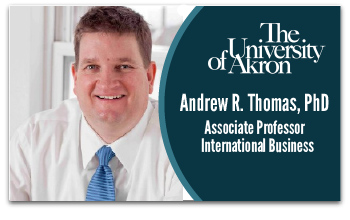 Andrew R. Thomas, PhD is Associate Professor of International Business at the University of Akron; and, the bestselling author/editor of 23 books. His newest book is American Shale Energy and the Global Economy: Business and Geopolitical Implications of the Fracking Revolution. Other recent works include Global Supply Chain Security and The Final Journal of the Saturn V. His book The Distribution Trap: Keeping Your Innovations From Becoming Commodities was awarded the Berry-American Marketing Association Prize for the Best Marketing Book of 2010. Dr. Thomas is a founding member of the National Academy of Sciences Global Supply Chain Security Subcommittee. 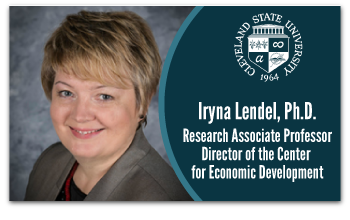 Dr. Iryna Lendel is a Research Associate Professor and the Director of the Center for Economic Development at the Maxine Goodman Levin College of Urban Affairs at Cleveland State University. Dr. Lendel is an economist with vast experience conducting academic and applied research and analyzing regional economic development. Her research portfolio includes projects on industrial analysis, including high-tech industries, the oil and gas industry, art industries, steel industry and re-emerging optics industry; regional growth; technology-based economic development; technology transfer and ecology of innovation. She also writes on economic impact and the role of universities in regional economies. assistant editor of Economic Development Quarterly. 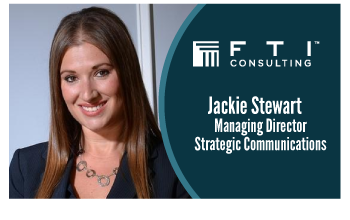 Jackie Stewart is a Managing Director in the Strategic Communications segment at FTI Consulting and is based in Ohio. She also is part of the segment’s Public Affairs practice and Energy & Natural Resources industry practice. Ms. Stewart has over a decade of experience in government and community relations, public policy and event management. Prior to FTI Consulting, Ms. Stewart served as district director and oil-and-gas point-woman for U.S. Rep. Bill Johnson (R-Ohio). Prior to that, she spent five years working for U.S. Sen. Jim Bunning (R-Ky.), and logged some time with the PGA Tour. In 2014, Ms. Stewart was named the Southeastern Ohio Oil and Gas Association’s “Workhorse of the Year” award and to the People to Know in Energy list by Columbus Business First in 2015. She’s also been awarded honorary membership in the Plumbers and Pipefitters Local Union 396. At FTI Consulting, Ms. Stewart provides strategic communications, government affairs, and media relations counsel to upstream producers, midstream operators, service companies, natural gas and coal power producers active in the Appalachian Basin. Ms. Stewart holds a bachelor’s in political science and history from the University of Mount Union. She lives with her husband and children in Ohio. Mark is the Manager for Maritime, Freight Mobility and Logistics within the Division of Planning, Ohio Department of Transportation. Mark conducts and participates in Statewide Planning activities, ie. Long Range Transportation Plan, Corridor, Freight and Economic Development Studies etc. Ohio has the distinction of having the first large program statewide FAST Act compliant Freight Plan in the United States. 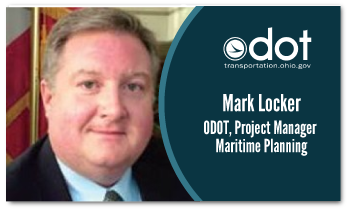 Mark coordinates with Ohio’s maritime partners to understand and enhance the state’s freight infrastructure and is project manager for Ohio’s Statewide Maritime Strategy. He was appointed by three US DOT Secretaries to the Marine Transportation System National Advisory Council (MTSNAC) which advises the US Secretary on Freight and Maritime matters. 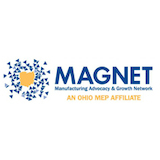 He serves as Ohio’s representative to AASHTO and MAASTO on Special Committees for Freight, Council on Water transport, the State Transportation Innovation Council (STIC), Freight and Truck Platooning. Mark is Ohio’s representative to the Conference of Great Lakes and St. Lawrence Governors and Premiers and the Mid America Freight Coalition. 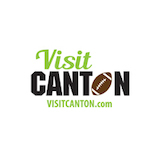 He is a professional planner and proud Ohio State University Buckeye with over 31 years public sector experience. 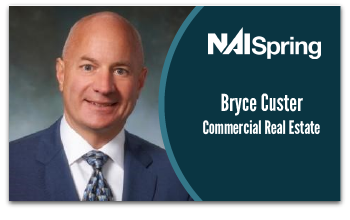 Scope of Service Experience: Bryce has experience in all aspects of commercial real estate including acquisition, disposition and development of office, retail and industrial projects. As an active real estate investor for over 20 years, Bryce understands the challenges facing both buyers and sellers in sale and lease transactions. Utilizing his experience from prior businesses, he works to discover critical success factors to develop solutions that meet the needs of both parties. 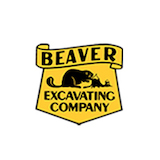 Bryce’s current focus is serving the needs of petrochemical, oil & gas, derivative industries and energy services companies capitalizing on the drilling and exploration of the Utica / Marcellus Shale in Eastern Ohio and the Northern West Virginia Panhandle. 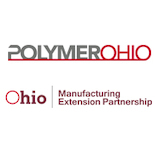 Primary focus is in the area of Site Selection for industrial clients utilizing rail throughout Ohio and West Virginia and river barge along the Ohio River in Ohio, West Virginia and Pennsylvania. 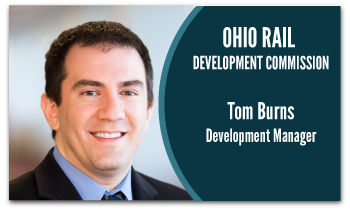 Tom leads the Ohio Rail Development Commission’s statewide economic development and strategic rail investment efforts. A 10 year veteran of the ORDC, Tom has had experience across a wide range of rail projects, including the application for and administration of numerous competitive federal grant projects. Prior to working at ORDC, Tom attended The Ohio State University’ Fisher College of Business, graduating in 2005 with majors in Marketing and Logistics, and Moritz College of Law, where Tom served on the Entrepreneurial Business Law Journal and graduated in 2009. 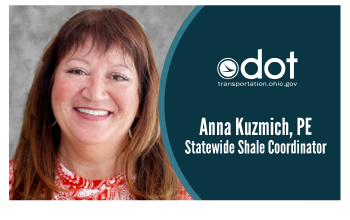 Anna M. Kuzmich, P.E., is the Statewide Shale Coordinator for ODOT. Anna serves as a liaison for ODOT and the oil and gas industry. 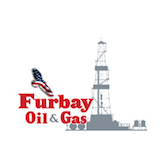 She interacts with multiple ODOT districts and Central Office employees as well as many local government agencies including County Engineers, Township Trustees and municipal leaders to facilitate consistency and communication between these various agencies and the shale industry. Anna is a 26-year employee of The Ohio Department of Transport. She began her career as a College Co-op in the Highway Maintenance Department and soon after became the District Pavement Engineer and Program Manager in the Planning Department. She continued in this role until 2012 when she became ODOT’s first Shale Coordinator. Anna has a strong background in systems conditions analysis, pavement design and maintenance techniques, as well as facilitating coordination with governmental and local agencies. 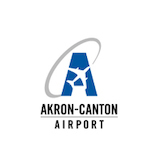 Anna also served as a Charter Board Member of ODOT’s Research Initiative for Locals (ORIL) which focuses on research needs of local transportation agencies such as counties, townships, municipalities. Anna graduated from the University of Akron with a B. S. in Civil Engineering and is a licensed Professional Engineer. Anna is a native of Jefferson County, and currently resides in Tuscarawas County. 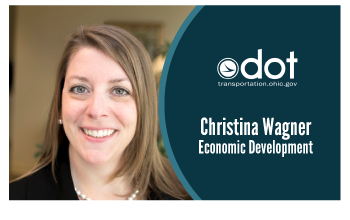 Christina Wagner is an economic development professional working at the Ohio Department of Transportation. She covers the Northeast and Eastern portions of Ohio in the Division of Jobs and Commerce, a rapid response team. By working in collaboration with state and local economic development professionals, elected officials, and businesses, Christina has been highly successful in delivering projects. Previous to her time at ODOT she served as a liaison for both Federal and State entities. In her free time Christina enjoys volunteering with a local organization who works with our area veterans to honor their service. Christina is a proud resident of Summit County and alum of the University of Akron. 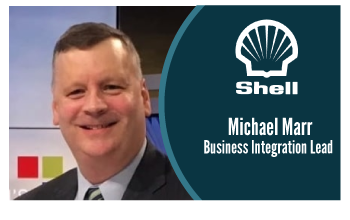 Michael Marr is the Business Integration Lead for Shell Pennsylvania Chemicals. Michael Marr has been a senior communications leader in both the private and public sector for more than two decades. In 2012, Marr joined Shell and has since worked in different roles covering Shell’s US Chemicals Assets and Shell’s petrochemical project in Beaver County, PA. For the five years preceding Marr’s employment with Shell, he served as the public affairs lead at the former BP Texas City site, which housed the nation’s third largest oil refinery, an integrated chemical plant and a power plant. Marr worked in senior governmental roles before joining the private sector in 2007. After graduating from Johns Hopkins University with a Bachelor of Arts degree, Michael joined the staff of Congresswoman Helen Bentley of Maryland. Subsequently, Marr served in a variety of roles for New York Governor George Pataki – including as the Governor’s official press secretary, campaign press secretary and as the State’s lead economic development spokesperson in the 18 months that followed 9/11. 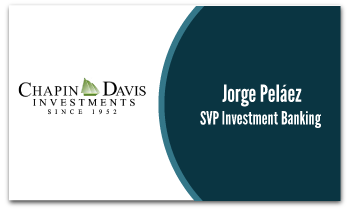 Jorge Peláez, SVP Investment Banking Chapin Davis. Over thirty years experience in the financial industry, Investment Banking, Trading and Research Sales. Previously, Managing Director of Equity Capital Markets for Boenning and Scattergood with direct oversight of the Marcellus Utica Advisory Group. Investments include Natural Gas Pipeline for LDC, Water Infrastructure for oil and gas in the Marcellus and Methanol and GTL facilities in the Southwest. Prior to B&S, Vice President of Susquehanna International Group, structured derivates and equity research for global stock funds. 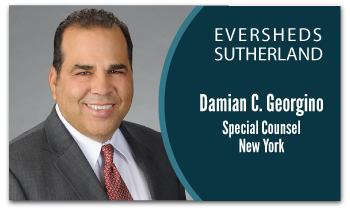 Damian Georgino advises U.S. and international corporations, including Fortune 50 companies, financial institutions, private equity funds, and other investors in complex transactions involving water and wastewater, environmental, industrial/manufacturing, energy, infrastructure and natural resource projects. In his more than 25 years of experience, Damian has advised clients on transactional - including investments, financings and structures, risk management and compliance - and operational matters across a variety of industries. 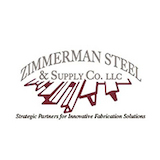 He has extensive experience in buy-and-build and hyper-growth strategies, structures and operations primarily focused on the water, wastewater, energy, technology and environmental industries. 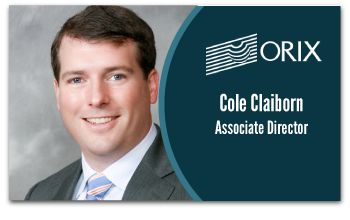 Cole Claiborn, who joined ORIX USA in 2012, is an Associate Director serving as an analyst for ORIX Municipal Finance & Infrastructure, assisting in originations and credit reviews in the firm’s Dallas office. Prior to joining ORIX, Mr. Claiborn worked as a public finance Investment Banking analyst at Jefferies in its Municipal Securities group in New York, focusing on Public Power and Utilities. 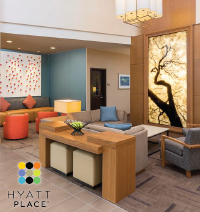 The Hyatt Place Canton offering special room rate of $94/night for the dates of October 9th and 10th. Call (330) 244-1700 dial 0 for reservations. 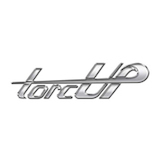 Use the group name Utica to receive the discount. 1:30 - 2:30 p.m. Investing Ohio | George Pelaez, Senior Vice President, Investment Banking, Chapin Davis; Bryce Custer; Damian Georgino, Special Counsel, Eversheds Sutherland; Cole Claiborn, Associate Director, ORIX USA. Reservation cancellations received less than 48 hours prior to the event will be billed accordingly.